Bosnia and Herzegovina (BiH) received 6,161 Chinese tourists between January and April of 2018, an increase of 77.9 percent year-on-year, official data showed Sunday. According to data from BiH's Agency for Statistics, there were 7,638 overnight stays by Chinese tourists during the first four months this year, a 69.6 percent increase year-on-year. China's agreement on a mutual visa-free regime with BiH became effective on May 29, 2018. BiH Minister of Foreign Trade and Economic Relations Mirko Sarovic said last month that there were some 30,000 Chinese tourists to BiH in 2017 and by the abolition of visa, it is expected that the figure will continue to increase, reaching 50,000 in 2018. 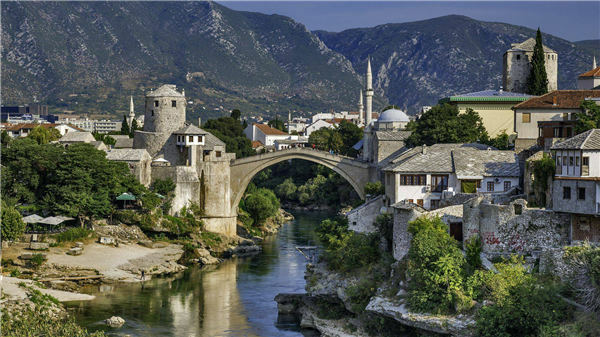 ?Bosnia and Herzegovina (BiH) received 6,161 Chinese tourists between January and April of 2018, an increase of 77.9 percent year-on-year, official data showed Sunday.